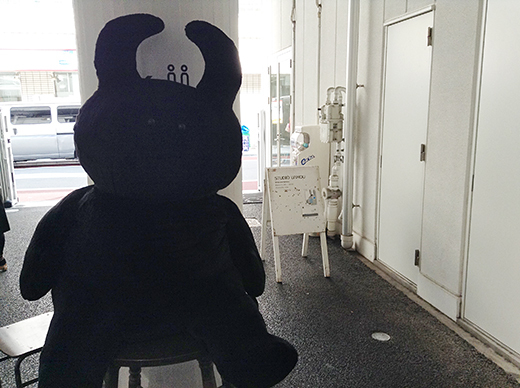 UAMOU is a funny horned character made by Ayako Takagi. We could find various UAMOU dolls in this Studio shop. 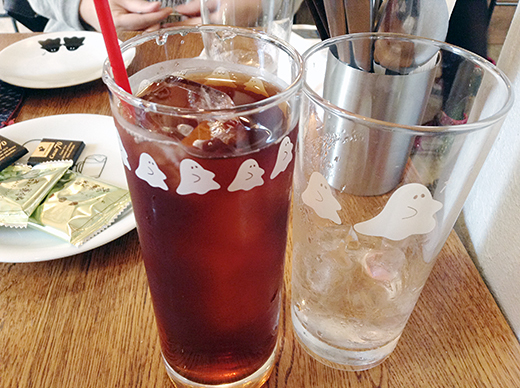 And the next door is cute cafe named Yushokuya BOO. 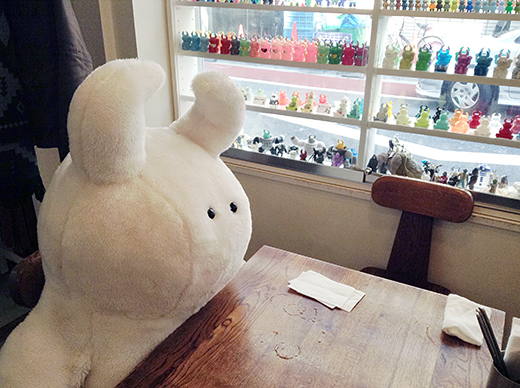 UAMOU and its friend ghost BOO are playing around dishes, cups, and somewhere in the cafe.